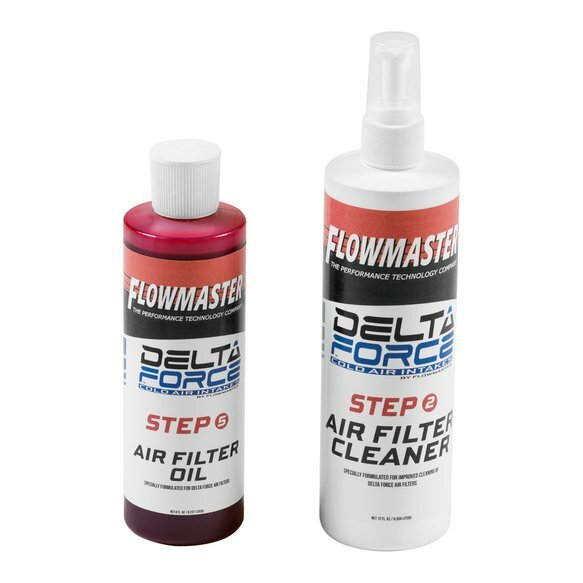 Maintain your Delta Force Performance Air Intake filter with our new maintenance kit to help protect your filter for a lifetime of use. Works on both Delta Force air filters and any other brand's cotton gauze air filters for cleaning and lightly oiling your filter, keeping it fresh and ready to deliver the best performance and air flow for your intake system. Includes a 12 ounce spray pump bottle of special cleaner to help dissolve the grime and get the dirt out of pleats of the filter, along with an 8 ounce squeeze bottle of specially formulated oil to recharge your filter and catch dirt particles on your filter between those long maintenance intervals.